No go. 1992-1993+ round tooth timing belt gear cog may not fit on 1980 240 B21F crankshaft. Will fit for cam t-belt cog gear pulleys. The crankshaft to t-belt crank pulley cog, so far as I know, won't fit the front of the not so low friction B21 crankshaft nose or snout(?). (You can certainly try and please prove me wrong.) Can't swap the low friction (B230) Redblock crank pulley with not so high friction (B21) redblock, tho. 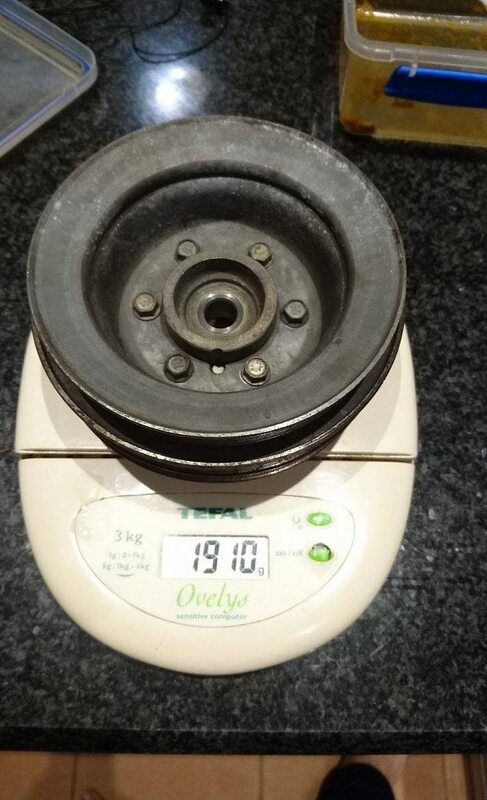 Volvo low friction four cylinder redblock crank pulley counter hold (that may not fit in new low friction pulley like on my 1991) your replacement low friction engine crank pulley does not work on not so low friction crank pulley like your B21. There is not an upgrade from the not so low friction redblock like your B21 to a B21 being able to use the B230 harmonic oscillator balancer pulley. The crank pulleys are different as the crankshaft is different. You have a drop-forged alloy (if I recall correctly) crank shaft. Low friction (like your 1988 [?] B230 240) has a cast alloy crankshaft with more counter weights and smaller bearing journal diameters. The low friction crank shaft pulley has the rubber bushing and steel mass to dampen vibration, I guess, though the actual description is more complicated with cast crank shafts. Gates I believe makes a Kevlar belt for square tooth. Though you still need to reset tension maybe once or twice yearly, lasts for 100k miles, if I recall correctly. Nothing wrong with using ContiTech (Continental) OEM belt. Reset tension the first several hundred miles as they stretch. Though replace at 50 k. Reset tension during oil change. What I have. Though may not have used this on not so low friction B21 though I recall is is like that counter hold tool yet it had a handle on it. 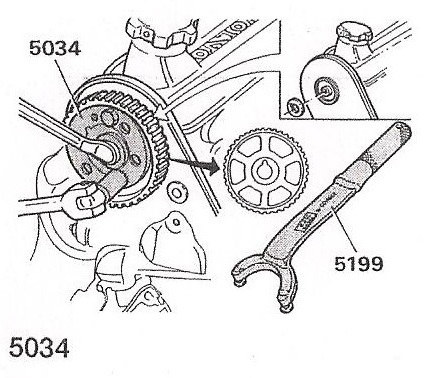 The 9995034 requires a 1/2" drive ratchet or breaker bar be used. Have to hold it steady for the rolled steal pin the t-belt cam pulley cog aligns to during bolt removal and torque. You do have the Bentley or (wrong power steering fluid specified, wrong front hub for 240 front hub bearing service, needs an errata as Uncle Art and Folks maintain for Bentley here) Haynes 240 service manual? You should be able to see the small 10mm hex heads as you peer into the engine bay. You'd use a wrench. If not, use waterpump wrench as pulley counter hold, and remove the center nut to remove the fan from the clutch and engine to expose the four 10mm hardware. Not so low-friction B21 uses six bolts. Low frictions uses five. To secure wasserpumpen. The bell of the pulley is between where trhe studs are and the actual pulley part you apply a water pump wrench counter hold to remove the four small bolts. However, the fan assembly flange secures to the water pump (a flanged interface) flange using the familiar four small bolt hardware or threaded studs into the water pump flange secured with nuts and washers and use a 10mm wrench. A hex headed box end or maybe quality non-chamfered line wrench (where the wrench is flat and makes full contact with the hex head bolt or hex nut - as there can be corrosion if a factory or very old waterpump install in a rust belt - engine oil leaks may prevent that - ha). You will have to detach the two top retaining metal screws that secure the fan shroud to the radiator as your right arm will pass through the fan shroud. All the while you must not mar the radiator. Do not let the fan assembly, once detached from the water pump, to contact the radiator in any way (or straighten the fins if bent). For waterpump install I use SuperLube synthetic silicon grease on the (use) Volvo brand gasket and seals. I've used two Hepu brand water pumps. I used one Volvo brand blue box pump and it started leaking after one year. Use distilled water when mixing up coolant. 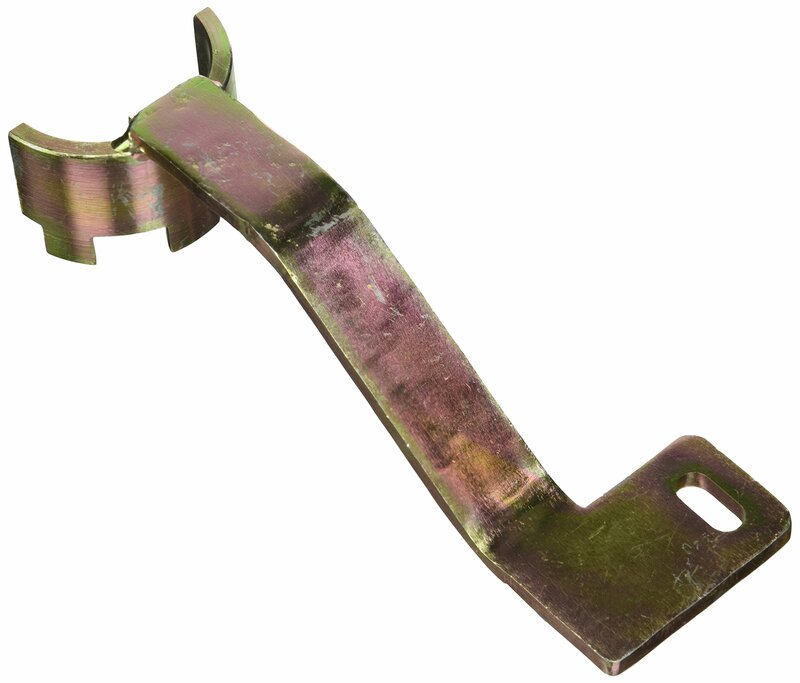 Inspect through the large lower radiator lower coolant return line port for blockage of the horizontal tube ends that may require radiator repair or replacement. 1980 came with a yellow alloy all-metal radiator. Inspect the hot water coolant return line at the end corrosion. Water pump install is not well mentioned or documented is the water pump lift to compress the top seal and install the remaining water pump hardware. Don't tear the gasket I won't use RTV unless the mounting surface is heavily corroded / pitted. I install the hardware through the oblong holes so it is loose, and lever up on the waterpump bottom when the water pump (you may have to hold toward the block) as you press it up so the round hole hardware slides in and threads easily. Don't want hardware dragging on the water pump material much as you thread in and eventually torque the water pump retaining hardware. Please see the seal presses you want to use to install the seals. Volvo Penta may rent the tools to you. Or maybe the dealership? I guess that does it. Over three hours? More tea? No moar cGMP, oh Boyeeeeeee.